We provide 24 hour service at no extra charge. Get in touch now! Get a complimentary in home evaluation and receive 10% off! 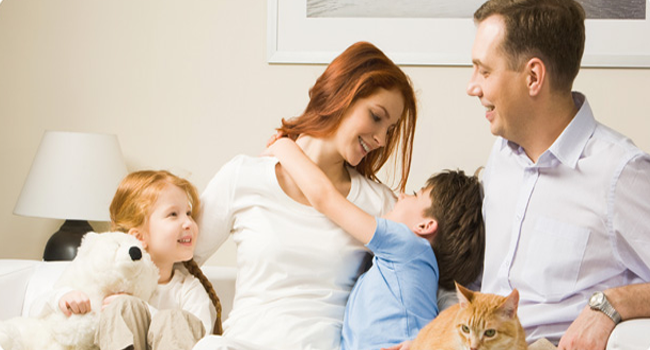 Get a free estimate on Plumbing, Heating and Air Conditioning services. 100% Satisfaction Guarantee: If for any reason you are not 100% satisfied with the HVAC, plumbing or electrical work we have done in your home, you do not have to pay us until you are. A bad HVAC system can cost home and business owners hundreds of dollars a year. Summers Quality Services has solutions for you. Plumbing repairs can occur at the worst time. No matter when you need Summers Quality Services we will be available for you. Our team of electricians are highly trained and skilled to handle all your electrical needs. You can always be sure of reliable and safe work in your home or business. We are a family owned and operated company that has been proudly servicing Philadelphia and the surrounding area for more than 30 years. We specialize in all aspects of HVAC, electrical and plumbing. Whether it is residential or commercial you will only need to call Summers Quality Services for your home or building mechanical needs. You can rest assured knowing that our technicians are the best in the industry. With mandatory on going training, our knowledgeable employees see your job through from start to finish. We are committed to doing the job right. That means providing you with superior customer service and constantly striving to exceed your expectations. Summers Quality Services – Your HVAC, Plumbing and Electrical Service Provider for More Than 30 Years! Since 1984, Summers Quality Services has been serving customers with the most skilled Philadelphia plumbers in the industry. 100% Satisfaction Guarantee: If for any reason you are not 100% satisfied with the work we have done in your home, you do not have to pay us until you are. Family Safety Guarantee: All of our technicians go through a thorough background check and are drug free. Property Protection Guarantee: Our Professionals will protect your walls, doors, lawns, shrubs, flower beds, furniture, carpeting, driveways, and anything else you wish. We will wear floor savers, use drop clothes and hall runners in all traffic areas. One Year Parts & Labor Guarantee: All workmanship directly related to repairs and replacements are under warranty for a period of one year. Done Right The First Time Guarantee: Our Professionals will properly diagnose and execute your repairs right the first time or you receive a refund of the evaluation fee. Maid Like Clean Up Guarantee: Our Professionals will leave your property neat and clean, all garbage will be removed and all work areas will be thoroughly cleaned before we leave the job. What Your Neighbors Say About Us! Summers Quality Services now offers 100% financing. For more information call 215-482-8800 or click this button and email us.